NVIDIA would hold their CES 2014 Conference tomorrow at the Cosmopolitan Hotel in Las Vegas announcing new technologies such as their brand new Tegra 5 mobile SOC, new gaming technologies under the Gameworks brand and possibly unveiling new details regarding their Maxwell GPUs and Denver CPU. NVIDIA’s CES 2014 conference would commence tomorrow at 8 p.m. PT which is an invitation only event but the conference would also be webcasted live from LAS Vegas at http://blogs.nvidia.com. So what should be expect from NVIDIA at the CES 2014 conference? NVIDIA would first be showing off their latest Tegra 5 SOC codenamed ‘LOGAN’ which would power their next generation of tablets and mobile devices. 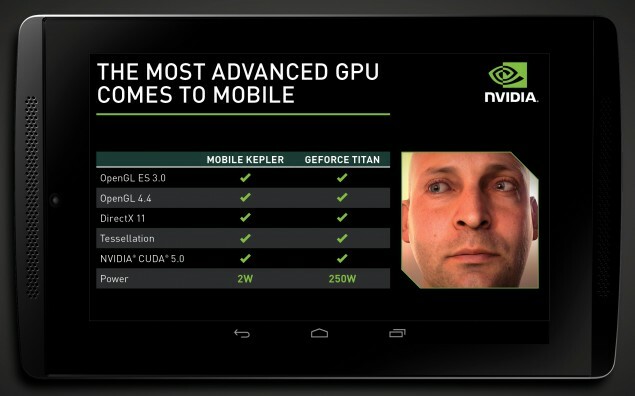 The Tegra 5 SOC would feature the well known Kepler core with CUDA and OpenGL 4.3 support. The Kepler core has served for two years in the laptop and desktop market in NVIDIA’s GeForce 600, 600M, 700 and 700M series and would continue to be integrated in NVIDIA’s next generation SOC for mobile devices. NVIDIA has already demonstrated Battlefield 3 running on their Tegra 5 prototype devices so its no doubt that the upcoming Sheild 2 device which may feature on of those cores may end up being on par with current gen of consoles. The SOC was also shown running NVIDIA’s Ira demo which renders a realistic human face with accurate expressions and high-resolution textures. We would also see some gaming innovations such as tech demonstrations of their FLEX (Unified GPU PhysX), Turbulence and a handful of effects to empower developers in creating true next generation gaming experiences although the proprietary nature of these tools may pose some serious threat to competitors especially AMD who are working on their Mantle API for GCN based hardware. We will see how that works out but let’s talk more tech for now. 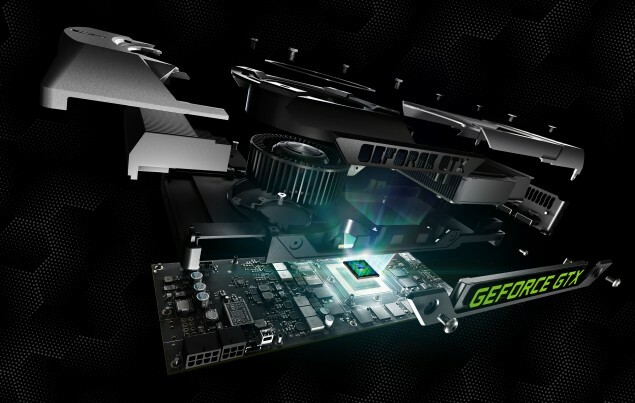 NVIDIA Maxwell, Denver CPU, Shield 2 and More GeForce 700 Series Expected At CES 2014? This is where the speculation begins and before starting, i would like to mention that last year at CES 2013 when NVIDIA announced Shield they mentioned that the handheld would see an annual update along with the TEGRA SOC. NVIDIA may announce their second generation Shield 2 at the CES 2014 which would feature their latest LOGAN SOC with Kepler cores and OpenGL 4.3 support. We may also see some updates to the design which would include smaller bezels, higher resolution and denser pixel screen with improved battery and controls. It may even launch at the same introductory price as the Shield for $349 which was reduced to $299 prior to launch. The update regarding NVIDIA’s Maxwell generation of GPUs comes from Videocardz who have gathered some interesting details not only regarding Maxwell but also the Denver CPU and GeForce 700 series. According to the site, NVIDIA is expected to announce some details regarding the NVIDIA Maxwell GPU over at CES 2014 and we don’t know whether it would be make a public reveal or hold a post seminar briefing among the journalists. Reports from Videocardz mention that the first Maxwell chip to hit the desktop would be GM107 which is based on the 28nm process while the GM204 would be made on the 20nm process but would arrive much later. The site goes on to report that GM100 series would be based on 28nm process and would arrive in 2014 while the 20nm based GM200 series would arrive in 2015. Videocardz mention that the first GM107 chip would be fused in GTX 860 and possibly GTX 870 which arrive in February 2014 (a month earlier than Fudzilla reports). Its also surprising to see NVIDIA changing the branding for their chips as the GM107 which is supposed to be replacing the GK107 is a mainstream/performance chip compared to the entry level nature of its predecessor. The GM204 on the other hand is the flagship core which is supposedly replacing the GK110 arriving in fourth quarter of 2014 or later. 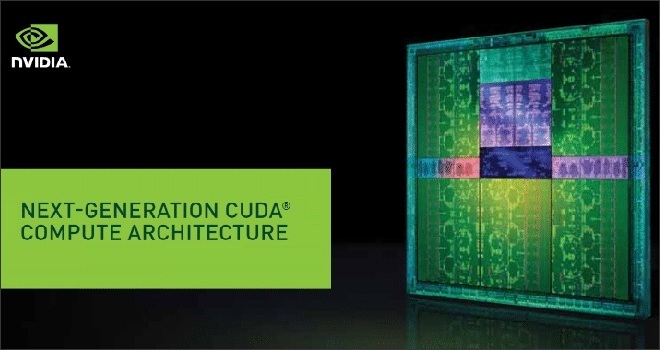 There are also reports of an imminent announcement regarding the Denver CPU which utilizes specialized 64-bit ARM Cores which would be fused alongside the GPU die. NVIDIA will move the launch of this specialized ARM CPU to 2015 and would instead feature a controller on the PCB that would take some compute load off the GPU. From previous reports, i think that Denver CPU may actually arrive in 2015 with both the Maxwell Refresh and Tegra 6 ‘Parker’ SOC both of which would utilize the FinFET process to prepare the Denver CPU on custom 64-bit ARM cores. Project Denver would feature a coherent link to the L3 cache and will offload the heavy work from the system CPU to the Denver CPU itself. The user also claims that NVIDIA believes Project Denver and driver optimization would give their cards a higher boost than a proprietary API such as AMD’s Mantle would deliver on their GCN products. We are also expecting an update regarding the mobility Maxwell lineup codenamed the GeForce 800M series which was leaked a while ago by notebook manufacturer CLEVO. The flagship GeForce GTX 880M is expected to launch in February 2014 along with several other 800M series chips. Last of all, Videocardz also mentions the launch of what seems to be the last GeForce 700 series card and the mightiest one of them. Presumably named GeForce GTX 790, the dual-chip graphics card from NVIDIA if ever launched would feature 2x 2496 (4992 Cores) and a 10 GB (5 GB x2) memory operation along a 320-Bit x 2 interface. Since the card would be two GTX 780’s slapped on a single board, it would most likely cost $999 US. Only time will tell if such a monstrosity exists or not.